What’s a summer without a shark movie? Since the dawn of the blockbusters with 1975’s Jaws sharks have been a cinema staple and over the years we’ve had the great (Jaws), the bad (Shark Lake) and the downright ludicrous ( Sharktopus) but last year saw a resurgence in decent shark movies with The Shallows a brisk thriller which made $120m from a $17m budget. So taking a bite out the box office is 47 Metres down which doubles up the terror with its fear of drowning also thrown into the mix too. Featuring Mandy Moore as Lisa who, in an effort to get over a failed relationship goes on holiday with her friend Kate (Claire Holt). Having been dumped for being boring and in fairness the casting of ex pop poppet Mandy Moore is suitably vanilla to be convincing in the role. So in an effort to prove she’s not boring Lisa agrees to do a shark encounter in a cage. As a sign that not only must she be boring as also a little bit dim when they they agree to board the rickety boat and clamber into the rust riddled cage and its wonky winch. With the boat captained by Matthew Modine looking like a Keith Richards-Captain Birdseye hybrid they set off to sea with the women and his two young male sea hands. With a shark quickly coming to their boat after they dump a load of blood and giblets into the sea the women get in to the cage and are lowered down with Captain Birdsye telling them somewhat ominously, ‘Once you’re down there you won’t want to come back up’ . He couldn’t be more wrong because when the winch gives way they go plummeting in their cage to the sea bed. That sequence alone is truly terrifying, utterly stomach churning and brilliantly shot by director Johannes Roberts. 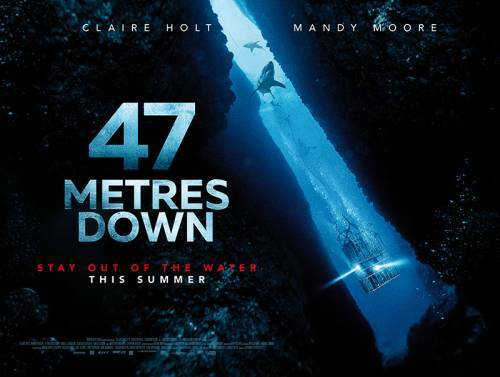 Just how fortunate were the film makers to get a script also called ’47 Metres Down’ as this is exactly how far below the sea surface they find themselves? (You’re an idiot – Ed). For once the sea is accurately shown as being dark and dirty at that depth with bits of plankton and goodness knows what else drifting through the water and the women find themselves in the quandry of either waiting to be rescued as their oxygen depletes or swim to the surface risking the shark which may or may not be out there in the murky depths. One of the most debilitating sequences in fact is not the shark attacking but that where Moore who swims some distance out of the cage only to find herself lost not knowing or being able to see the cage as a reference point and her isolation in the anonymous and infinite murk is truly frightening. 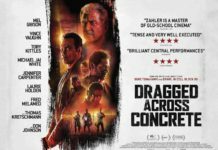 This is one of those ‘What would you do?’ films and writer / director Johannes Roberts whose back catalogue has been patchy and often limited by low budgets here hits his stride embracing the limitation of the films set and he’s taken a page from Jaws with the shark’s appearance used sparingly but effectively. Unlike the rubber monster in Jaws the shark here is wholly convincing especially early on when its seen in all its majesty to such a degree that you can’t help but think that at times the film makers must have dropped in real wildlife footage. 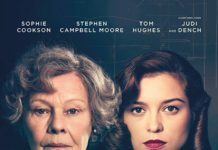 Roberts has done a great job here with moments to make you jump in a pacy 90 minute running time. If there’s one fault with the film it’s with the very end because there’s a very definite end point which would have make the film even better but whether through not quite having the courage to go with it or more likely that there was studio interference it tacks on an unnecessary end scene but this is a great Saturday night film which doesn’t outstay its welcome. Those pesky Ruskies have blocked filming of…….